When it comes to developing AAA games, very few actors of the French video game industry can compete. However, some companies like DONTNOD still have the power to stand out and release work (and money) on heavy projects. With their first project called Remember Me, the DONTNOD team (formerly a group of 5 friends ) grew to over a hundred developers, which was enough to draw the attention of both the press and, most importantly, gamers! 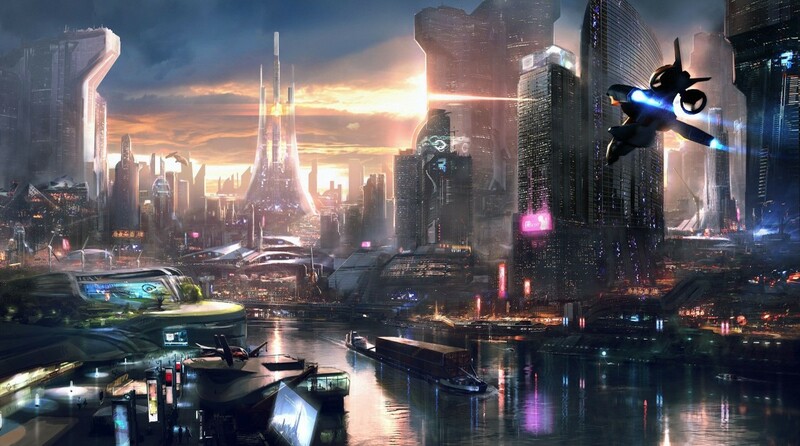 When the game was released, critics went mad over the original atmosphere the game put the player into, offering a superb visit inside the futuristic French capital, (Neo) Paris in the role of Nilin, a woman with the power to control other people’s memories though technology. 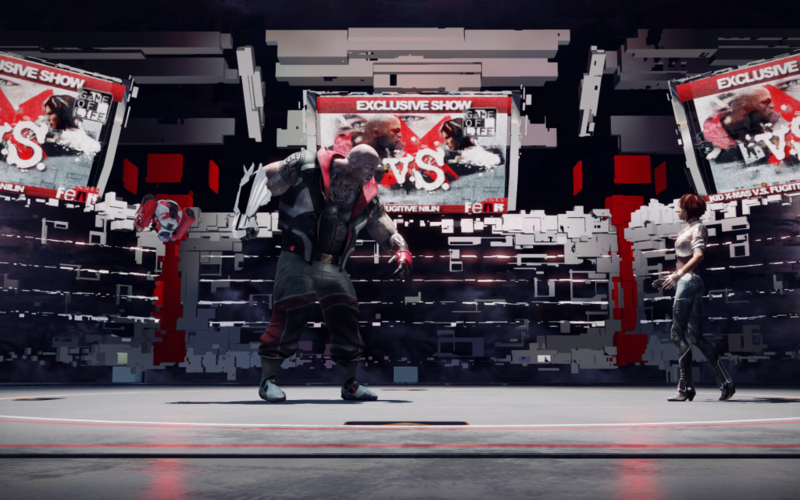 However, some issues made the experience somehow less… fun: fighting was boring, most gameplay sequences were hollow and the key-feature of the game, called “Memory Remixes”, was way under-used. In a nutshell, Remember Me missed its opportunity to enter video games’ history. The fact that Remember Me was, for numerous reasons, a failure, doesn’t mean everything it tries to make up is pure trash. For instance, the mastery of the game space for both entertainment and narrative purposes works rather well, which is why I’m gonna tell you a bit about it. 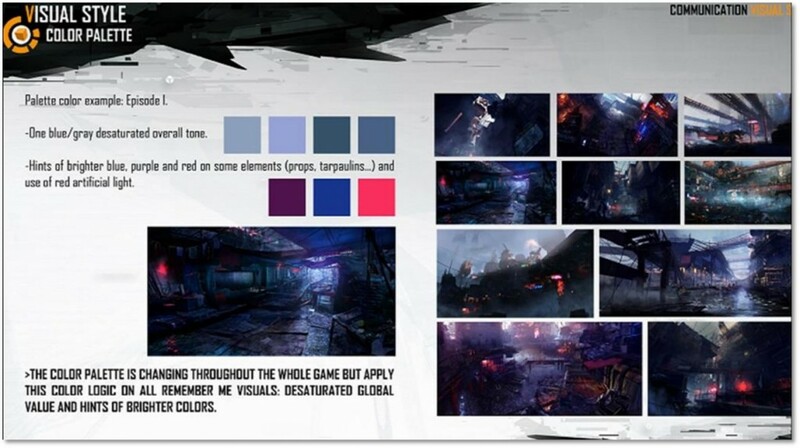 As Remember Me was originally based on a very detailed universe (a 3000 pages bible written by Alain Damasio, one of the game’s scenarist and author of the famous book “La Horde du Contrevent”) and on a very strong imput from the project’s graphic team, level designers had to adapt to these constraints by showcasing the world’s appearance everytime they could. Another interesting choice by DONTNOD was to restrict or modify the camera frame from time to time so as to reinforce the visual and narrative aspect of specific sequences (which is allowed by the use of the third person camera). 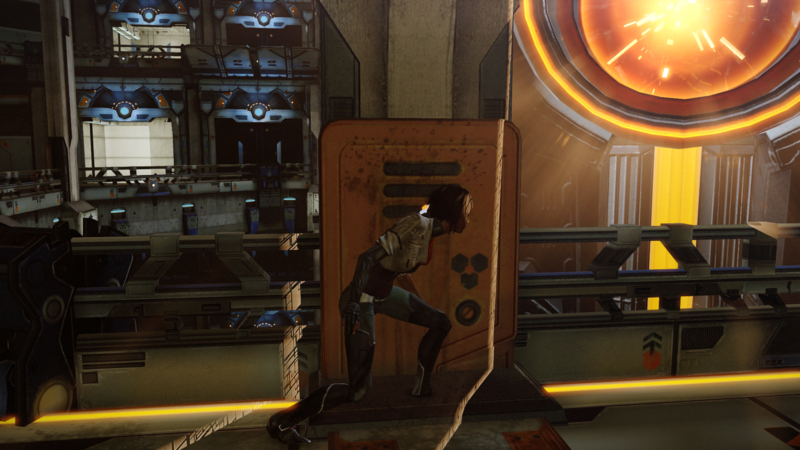 For instance, the specific camera view at the beginning of Chapter 1 highlights the main theme addressed by the narrative at this precise moment : Nilin’s loss of identity due to the manipulation of her memory. 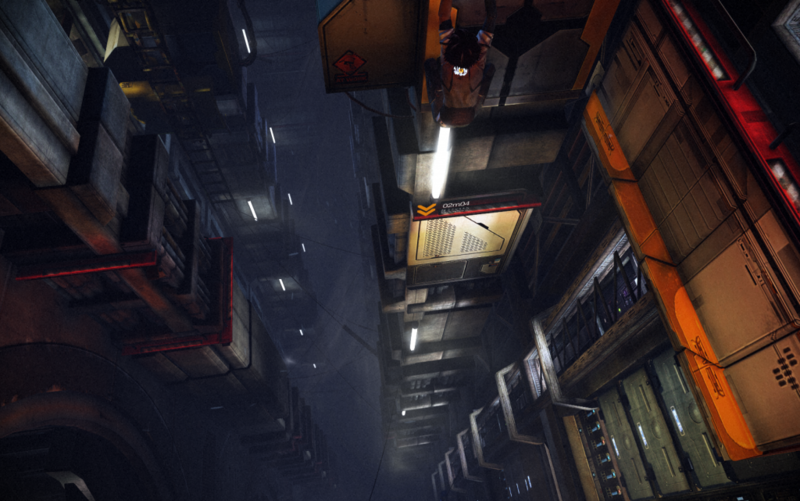 In other sequences, the camera also tends to step back from the avatar to induce a feeling of smallness in the face the urban environment, which is quite common in sci-fi games. 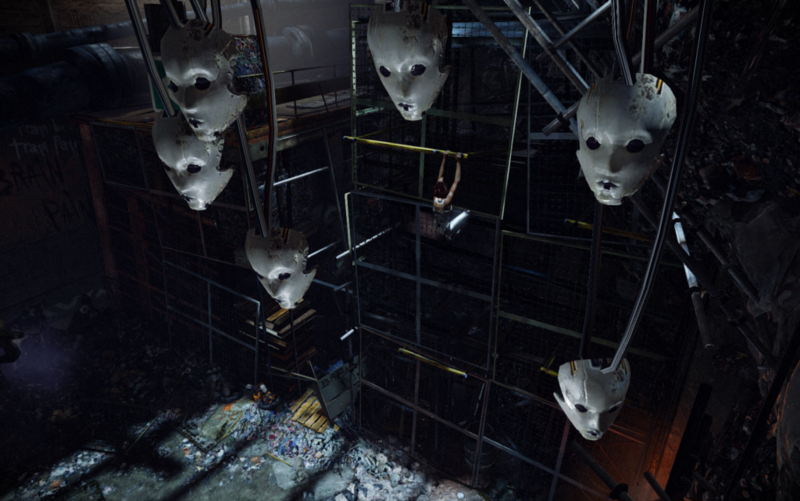 One of the most interesting uses of this feature is situated in Chapter 3, where Nilin is hanging above a vast and dark emptiness emphasized by convergent lines running deep into it. This scenery provides a great sensation of vertigo by upseting the player’s perception of space. Finally, the frame also provides great visuals and sensations when used freely as a composition tool to highlight an entire game scene. This contrasts with the forced camera method seen earlier, which is much more directive and only applies to very small level chunks. 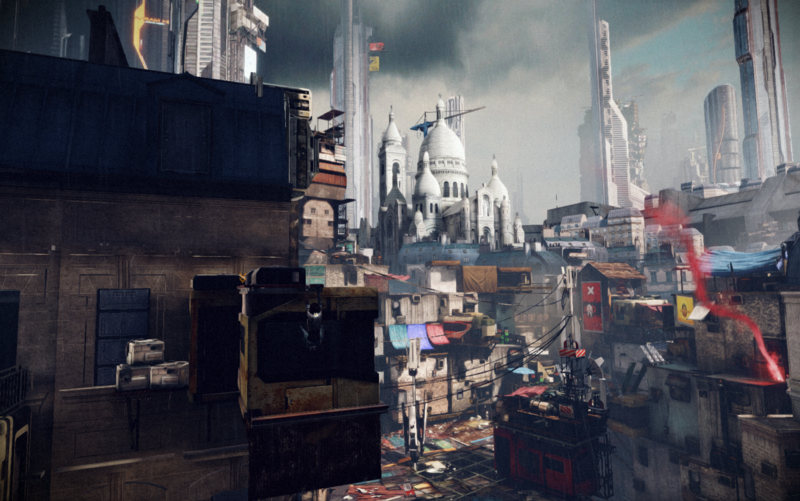 In chapter 5 for instance, Nilin is placed above a flooded city street where common citizens are struggling to arise from the waters. 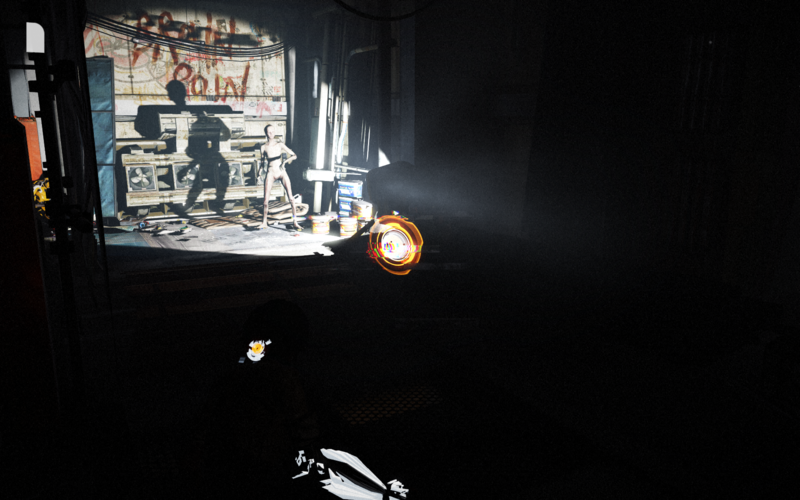 The player can also hear cries and senses, by the use of flashing lights, an atmosphere of anarchy. 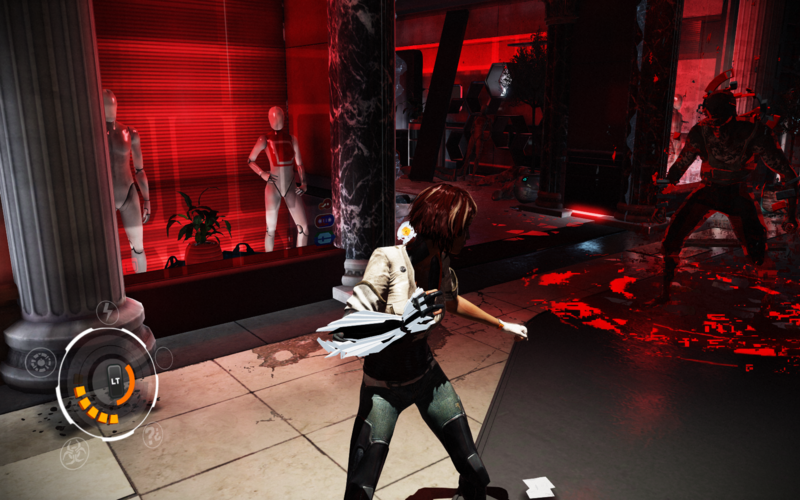 Here, the reader may have noticed that, in the game’s narrative, this flood was directly provoked by Nilin in a previous chapter, making this passage an observation of the consequences of the caracter’s actions. 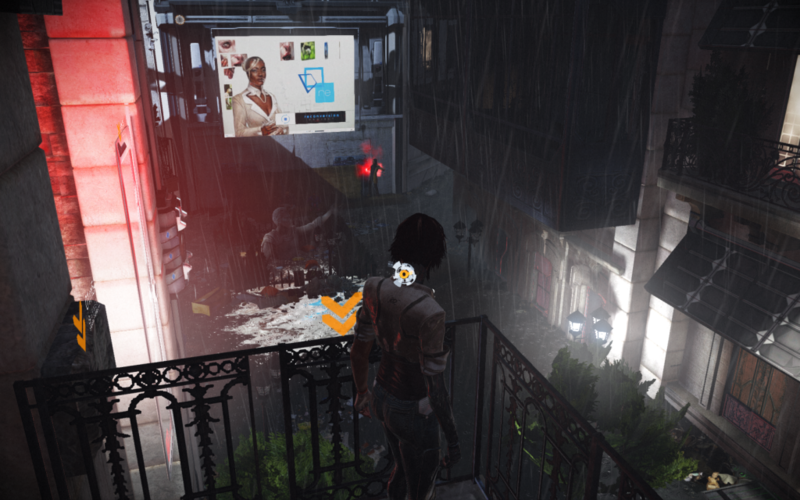 However, by chosing to put “normal people” down in the streets below the avatar, DONTNOD makes the player understand that he’s litterally above these people’s problems and has to focus on his own important mission. Even though this design choice might be seen as vaguely immoral if seen in the game’s context, it works perfectly fine in showing the player that he is, indeed, a step ahead of the rest of the game’s characters. 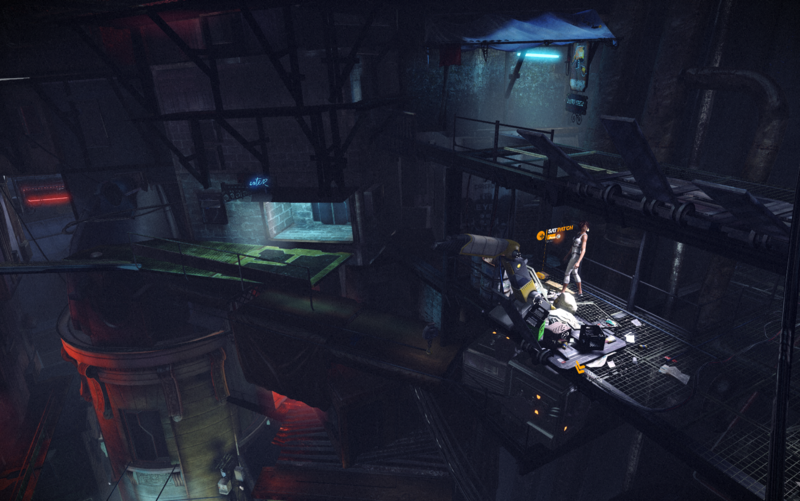 The frame control used in Remember Me shows the attention paid by DONTNOD to the composition of the game’s space, both from a macro and a micro point of view. This process allows the designers to center the player’s attention around the graphic assets provided by the team and adds a substantial amount of new feels and meanings into the space of Neo-Paris. 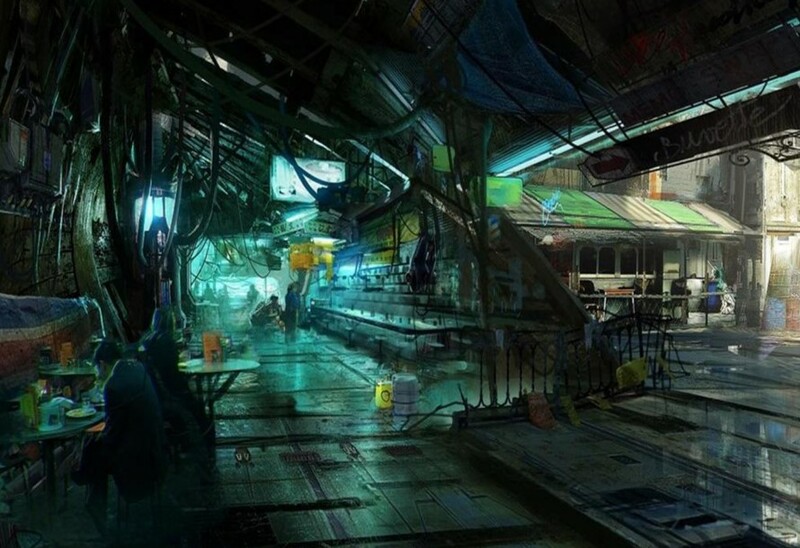 As we can see, lights and colors are very important to set the global mood of Remember Me’s levels, primarily to step away form other cyberpunk-ish universes which often portay the future as dark and dull. However, these elements also have specific meanings that are taught to the player through repetitive patterns in every level. For instance, a glowing blue aspect will usually refer to a peaceful and calm environment, which can potentially hold a secret reward, whereas red will alert the player to dangerous threats. These patterns allow the player to automatically recognize the use and potential of every game space so that the experience in itself doesn’t feel odd by being too surprising. A fighting sequence will, for instance, never be displayed in a blue-illuminated environment. 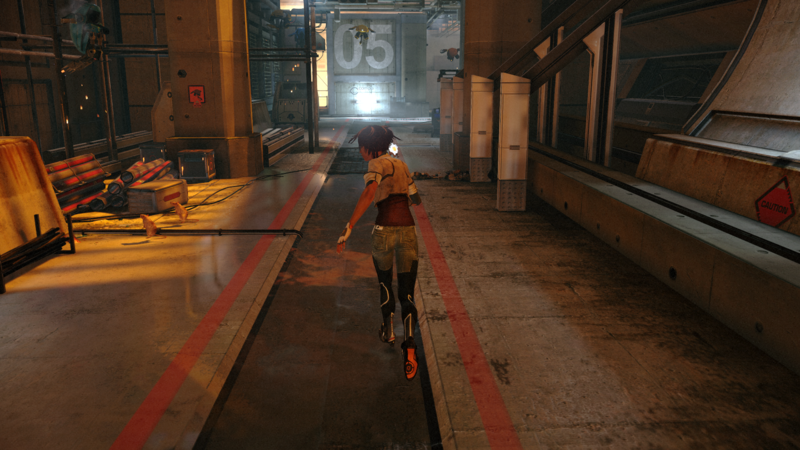 The environment’s color tones and scenery are also heavily influenced by the heroine’s state of mind during specific game sequences. Consequently, a same gameplace can look totally different by changing both color moods and visual elements. For example, in Chapter 6, Nilin is showed (through a dialogue with her boss, named Edge) as being very disappointed by the turn of events, questioning the legitimity of the “errorist” cause (the main opponents to the hegemony of a few over everyone’s memories). 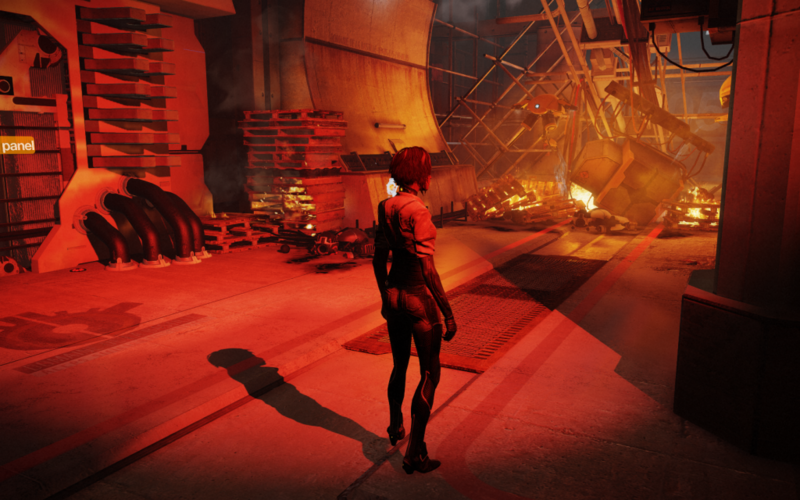 Consequently, the environment of the “Bastille” was made very dark, with agressive silhouettes and a great use of warm colors diplayed by fire, reflecting Nilin’s story. 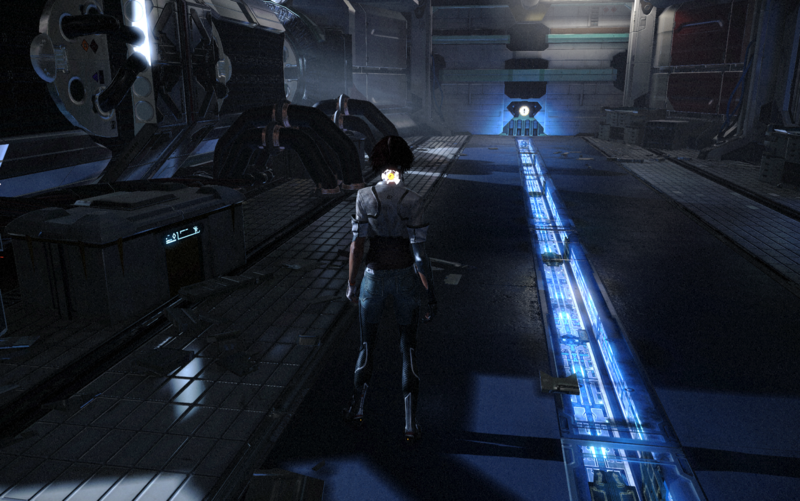 This staging choice makes total sense with the flow of the narrative : when Nilin first came to the Bastille earlier in the game, with a brighter and clearer mindset, the environment was also displayed as a lot brighter and clearer. These light and color associations make a great impression on the most inattentive player by subconsciously making her / him feel the stakes of the narrative. 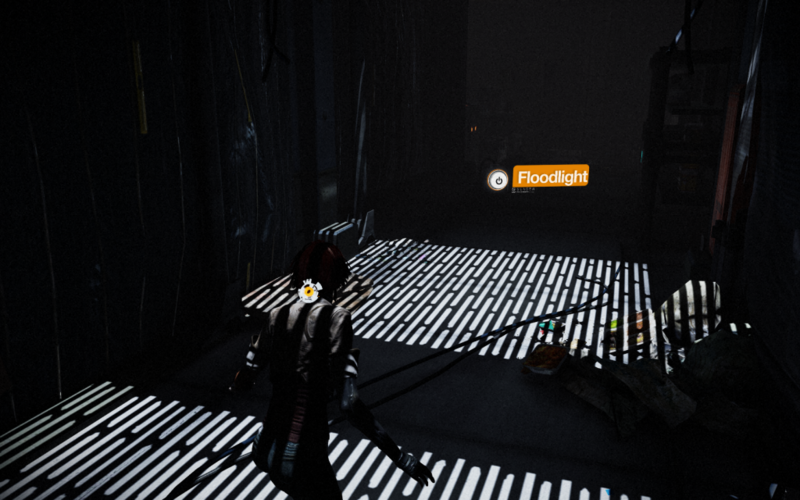 Simultaneously, a great effort was made to symbolize danger by using both light and space in gameplay situations. Indeed, light and dark hold special meanings in Remember Me, characterizing the heavy use of the player’s primal instincts. For instance, many fighting sequences display a special interaction with the environment : turning on lights to make invisible enemies fightable (as Nilin is only a prey to these enemies when the light is turned off). In these sequences, darkness becomes a threat in itself by reflecting the enemies it could hold. 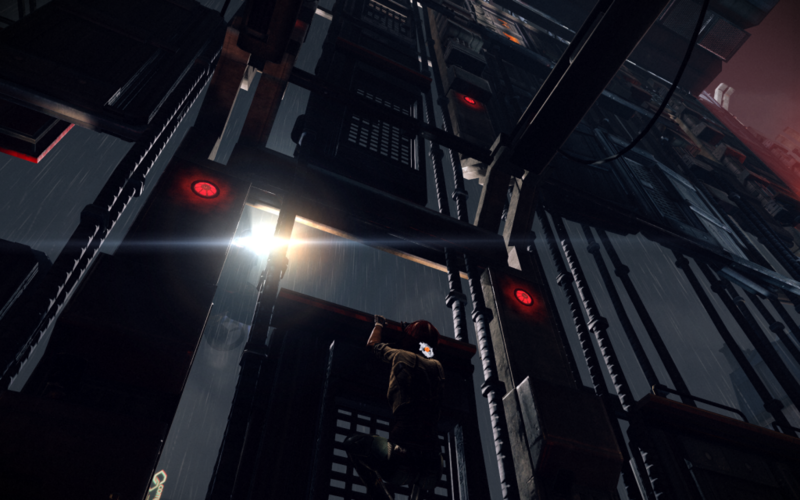 In another level, Nilin will struggle to escape the lightspot of an helicopter (being revealed by the spot would result in a certain death). -When she/he is in a predator condition, heavy-lighted spaces become places to take advantage of bad guys. -However, when in a prey condition, darkness becomes the only way to escape the most dangerous enemies (like the helicopter). In short, this constant play between light and dark but also between warm and cold colors remains a good way to influence the player’s own feelings and behavior through her / his own given instincts.